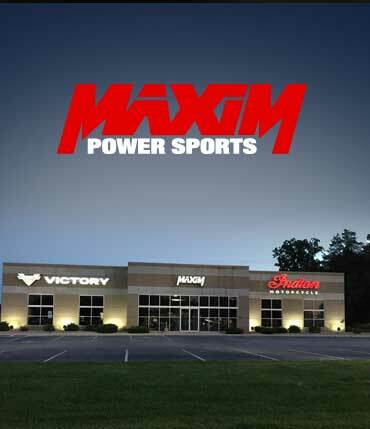 Maxim Power Sports is N.W. Indiana's Largest Powersports Center. We are conveniently located in Merrillville Indiana, just off US Hwy 30, approximately 1.8 miles East of Interstate I65 exit 253. As an authorized dealer for Can-Am, Indian Motorcycle, Polaris, Sea-Doo, Slingshot, Spyder, Suzuki, Victory Motorcycle and Yamaha, we provide you with the latest and best in powersports products to make your riding experience the best it can be. From the most recent ATV technology to the hottest new personal watercraft or coolest looking bike, we can help you find the ride that's right for you. We know individuality is important, which is why from the minute you walk in the door, paying close attention to your interests and meeting your needs is our top priority. Call or stop by today; you will be glad you did!